War is an institution which is inscribed in law. From the conclusion of the Cold War, the world is undoubtedly different. Several stark features highlight the differences in warfare before and after the period of Cold War which is used as a dividing line between ‘old’ wars and ‘new’ wars. But is this terminology correct? Or are we just trying to find ways in which we can distinguish between the changing face of warfare? 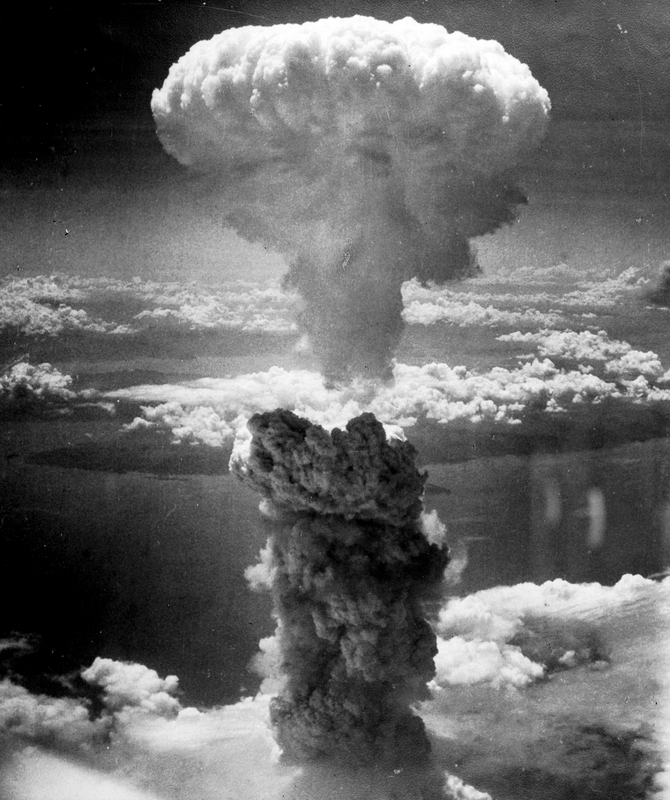 The existence of nuclear weapons fortunately managed to prevent the USA and USSR from going to actual war with each other. Instead, the two powers engaged in a nuclear arms race which inevitably led to each side building more and more. By the mid 1950s, the world was now a much more dangerous place to live in. However, due to mutually assured destruction because of the weapons, many believe that this is what actually prevented another war. To use one of these weapons would be suicide. Therefore, the arms race shaped the future political landscape and was critical in preventing a World War Three. The distinction between old and new wars has gained great currency within recent years due to Mary Kaldor. She argues that ‘during the last decades of the twentieth century, a new type of organised violence has developed.’ New wars are characterised as ‘loot-seeking’ wars where there is not much public support and usually started for private gains, making them ‘criminal.’ ‘Old’ wars have been defined typically as conflict which is waged between opposing states where the decisive encounters of the war were battles between such forces. They would usually arise and be heavily associated with the building of the modern state rather than the disintegration of a state. Therefore, they are characterised as ‘justice-seeking,’ possessing public support, having a strong political purpose and often based on ideology. They were controlled wars that followed protocol. An example of a new war that demonstrates a lack of this would be Saddam Hussein’s invasion of Kuwait in 1990. Iraq invaded Kuwait on the basis that they had been guzzling Iraqi petroleum by ‘slant drilling’. Kuwait was also a large producer of oil and therefore this meant lower revenue for Iraq. Other reasons included the fact that Iraq was no longer able to make a $14 billion loan repayment to Kuwait after the latter helped finance the Iran-Iraq War. Saddam Hussein managed to annex the Emirate of Kuwait just two days after initially invading it and within a few more days claimed that it would be the nineteenth province of Iraq. For the next seven months Iraq would occupy Kuwait, loot the immense wealth, violate human rights and create complete chaos in the hopes of debt forgiveness and control of oil resources. As a result, the international community all stepped in: India vacated over 17,000 overseas citizens back home; China and the USSR placed trade and arms embargoes on Iraq; NATO heavily criticised Iraq’s actions and the USA issued direct ultimatums of withdrawal or to be prepared to face war. 12 resolutions were passed by the UN Security Council which demanded immediate withdrawal of Iraqi forces from Kuwait. Countries that traditionally had close diplomatic ties with Iraq were also requested to vacate Kuwaiti territory. All major powers globally condemned Iraq’s actions. It is clear then that Saddam Hussein’s Iraq invaded Kuwait based on economic reasons alone. Not only have the intentions of going to war changed but the actors that participate have varied immensely. With non-state actors- such as terrorists- the enemy is no longer clearly defined or confined to a specific area. Networks such as the transnational terrorist ones have been helped by the progress of our world. Globalisation, social media, news coverage and technology all play key parts in why such organisations are so successful. While they do not wage chaos and engage in immoral activity for the financial reward (even though most ‘new’ wars have this as their principal objective) they do however instil fear and insecurity through symbolic acts of crime and violence – making them criminal. So, if ‘new’ wars are to be the predominant form of future warfare, should the strategies we use at the international level be re-strategised? Specifically, how can we as a global community strengthen the weaker states in the hopes of preventing intra-state conflict and, in turn, the possibility for inter-state conflict?